Getting regular blood pressure checks can be your best defence against stroke. Failure to detect and control high blood pressure is the single biggest cause of avoidable strokes. High blood pressure puts too much pressure and stress on the walls of blood vessels and increases the risk of both bleeds and blood clots. A person with high blood pressure is up to seven times more likely to have a stroke than someone with normal or low blood pressure. A blood pressure check is quick and painless. What is a blood pressure check? A blood pressure check is quick and painless. Your doctor will be able to carry one out for you, as well as some chemists. It often involves a cuff being placed around your arm and inflated - it feels tight but doesn't hurt. You get the results straight away. Normal blood pressure is around 120/80 (said as "one-twenty over eighty") or lower. High blood pressure is when it is consistently around or over 140/90. 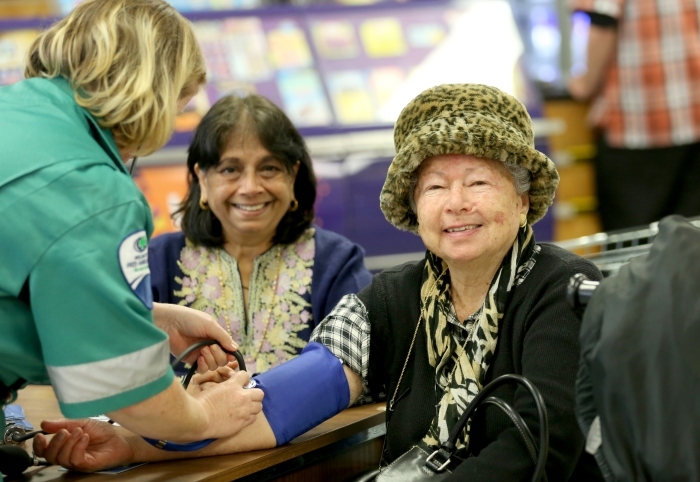 Every year we give thousands of New Zealanders a free blood pressure check. Find out more here. High blood pressure is serious but can treated. Sometimes, lifestyle changes around a better diet or more exercise will help. Obviously cutting out tobacco products will benefit you, as will keeping your alcohol intake low. Your doctor can also help with medicine to address the issue. Blood pressure tends to rise as we get older, and can run in families. Here's a table that will help you understand your blood pressure results. A diagnosis of high blood pressure requires more than one reading. If you think you have high blood pressure, get a check. It could save your life. The Big Blood Pressure Check takes place every October. Thanks to all our volunteers from Rotary, St John and Wellington Free without whom the campaign would be impossible. Blood pressure tends to rise as we age. 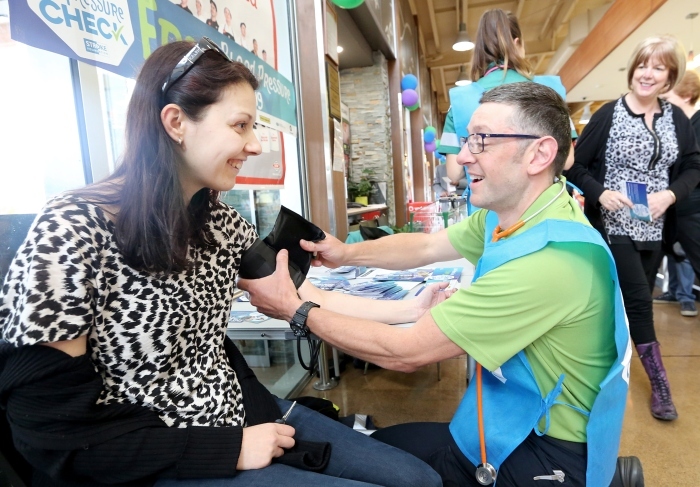 This year the Big Blood Pressure Check takes place on Saturday October 6 2018. Have a look at our Facebook page to see some pictures from the 2016 event.